We've been happy with Lloyd Pest Control helping us get rid of our rat problem. John always provides excellent customer service, is very professional, courteous, and is very attentive to our concerns. We would highly recommend their service. I have used Lloyd's pest control for over a decade now, and they have proven to be very responsive and service-oriented. They do what they say they’re going to do which is the key to a service business. your team does a good job and I seldom have any issues. The only thing that I was wondering about is why no one asks us about checking for termites every year. I would think that you would notify those of us that pay on a monthly basis that you would like to check for termites. just a thought. Able my technician is excellent at my home at 1 Lyra Way in Trabuco Canyon. 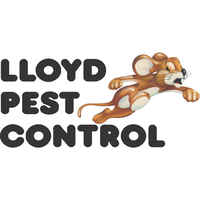 We have used Lloyds Pest control services for approximately 4 years and we love them! John Mendoza has been our tech all this time and he is a HUGE part of why we love our service with Lloyds!! Keep up the great work! Our technician is Mark, and he is always a pleasure to deal with. I've used Lloyd's pest control for nearly 15 years and have always had great service. All the technicians I have had through the years have been honest, courteous, respectful and very nice. They keep our bug problems in check and take care of the occasional critter. No more ants. Thank you Lloyd’s. They always do a great job. Very professional. Tony who did the servicing for the carpet Beatles was very knowledgeable and took care of the problem. Good work. Shows up on time. No problems. Always professional, always on-time, hassle free business transactions with very fair pricing. Well done. Great service! Prompt , Professional service. I called for an ant problem following the heavy rains and it was taken care of in the day ...thank you!! The technician (don't recall his name, not on service report) always comes to the door before he starts to ask if there are any specific problems and usually there is not except spiders in yard (brown widows specifically). The spiders do not come inside so the barrier you put around the house is working well. As the warmer months approach and we take the covers off the yard furniture I would love for you to spray under and around the table and chairs to remove any lingering SPIDERS. Friendly, courteous Rob Chey did an excellent job. Vince was great. He has always inform us of what’s going on and what he’s going to do. Answer all of my questions and extra information about the question that I would not have consider asking. Great job. Give this man a pay raise. He has a wealth of information on the treatment that’s about to get done on the house. System test review, please delete. Marco did a good job, as usual. Your service is consistent, reliable and always performed when committed. The technicians are professional and thorough. This is one area of home maintenance where I do not have to think too much about because your teams perform so well. It is a pleasure to recommend your services. Been using Lloyd's for years. No more problems with ants! I've always been impressed how punctual and professional Lloyd Pest Control has been after many years of having them treat my home. I had their complementary termite inspection and felt they were thorough and friendly. It's nice to have a company that I feel I an depend on for great service. Thanks! Great service. Extremely knowledgable and thorough. Very pleased with the sevice. Technician always answers my questions and follows up on requests. Happy I have the service. No issues or complaints in 40 plus years. Iam happy with my serviceman. Good service and helpful technician. Our serviceman listened to my concerns and attended to them efficiently and professionally. We've been with Lloyd for well over two decades and would highly recommend them. I am so happy with Lloyds Pest Control! Our home is surrounded by fruit trees and a large slope. As a result we have an ongoing rat program. They have managed to keep them at bay and when we had a recent issue in our attic, they rushed out to clear the situation. I highly recommend this service not only for insects, bugs and other pests but particularly for rodents! Very good service nice person. We have had Lloyd’s service for about 14 yrs. now and are very happy with them. Lloyd’s Pest Control has been servicing my home for the last 28 years. I’m comfortable knowing that I can trust the technicians to enter the backyard and perform whatever service is needed and I do not have to be home. The technicians have always been professional and service oriented. get right to work and are very efficient. Have always been happy with the service because of my technician, Mark. Any pest service can spray, but it is Mark's willingness to do what it takes. He is always pleasant and easy to communicate with. Never a problem. John does an excellent job! I have been using Lloyd’s Pest Control service for about 20 years...first in San Diego and now in Laguna Niguel. Highly recommend their service and the technicians are friendly, knowledgeable, and efficient. Service has been good . Over the past couple of years we have run into delays for immediate problems mainly ants. I don't do social media. I don't do Yelp. I inherited a home with your company as pest control in 2004.
are really pricing me out as a landlady. Keep up the good work.